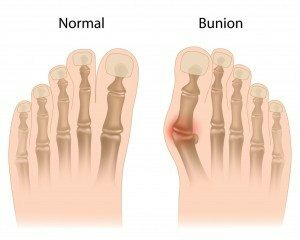 What are my options for bunion removal? For some patients, non-surgical treatments do not offer relief and bunion removal surgery may be the only feasible option for getting relief. We are likely to recommend surgery if your foot pain is severe and is restricting you from carrying through with everyday activities. We may also recommend surgery if you are not responding to medication or can’t bend or straighten your toe. The good news is that bunion removal surgery is often an outpatient procedure so most patients can go home a few hours after the procedure. In addition, it has a high success rate and, provided you are following the given post-operative guidelines, you should recover within six to eight weeks. Are you suffering from a bunion and are still unsure about bunion removal options? Visit our podiatrist in Marietta, Ga, Dr. Fui Dawson, for a foot evaluation and a careful analysis of the best options available to you.